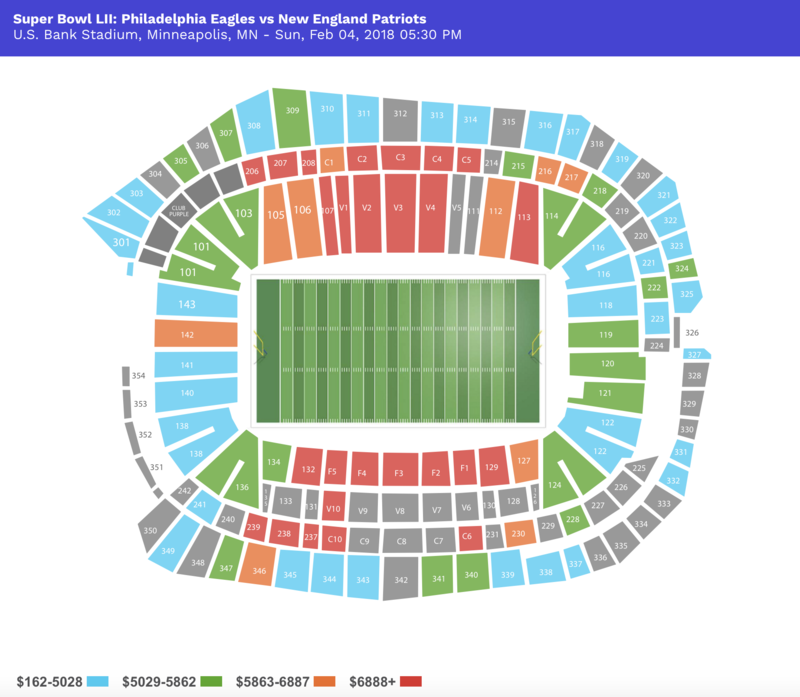 Over the next two weeks, TicketIQ will break down secondary market ticket prices for each NFL team during the 2016 season. Today’s focus will be on the NFC South, where the defending NFC Champion Panthers are posting the biggest prices in the division. Few expected the Carolina Panthers to have the dream season that they did in 2015, compiling 15 wins en route to their first Super Bowl appearance in 13 years. Cam Newton will be back to lead the Panthers to the promised land in this season and will do so with the most expensive ticket prices in the NFC South this season. The team's top-priced game will be its home opener on September 18 against the San Francisco 49ers. That game now owns a $269 average on the secondary market. If looking just to get into the opening game of the season the cheapest tickets are listed from $93. Conversely, an October 10 game against the Tampa Bay Buccaneers will be the least expensive game of the season at Bank of America Stadium, with tickets averaging $213 and the get-in price starting at $64. Drew Brees may still be at the top of his game at 37, but it's difficult to restore faith in a Saints team that has endured two consecutive losing seasons with limited talent surrounding their franchise quarterback. Alongside Brees, only three other players from the Super Bowl XLIV-winning team still remain, and the QB's revolving door of receivers (all options have been acquired since 2013) haven't progressed well enough to turn the tides in New Orleans. Still, the franchise will see an slight increase in ticket demand on the secondary market this year, with Saints tickets at Mercedes-Benz Superdome averaging $211 on TicketIQ, up 2% from last season. The Seattle Seahawks will head to the Superdome on October 30 for what will be the most expensive game in New Orleans this season. Tickets to the game currently own a secondary market average of $284 and the cheapest tickets are listed from $104. Conversely, a November 27 game against the Los Angeles Rams will be the cheapest game on the Saints schedule, with tickets averaging $160 and the get-in price starting at $38. One of the biggest storylines in the NFL this season will come courtesy of the Atlanta Falcons, who will play their final season at the Georgia Dome before moving into Mercedes-Benz Stadium in 2017. Fans appear to be excited for the final eight games in the Dome, too, as Falcons tickets on the secondary market have increased 20% on average from 2015. As it stands now the average resale price for Falcons tickets in the final season at the Georgia Dome is $172. October 30 will see the Packers head to Atlanta for the top-priced game on the Falcons schedule this season. Tickets are now averaging $273, up 59% over season average, and the cheapest ticket is $97. The Falcons will play in their cheapest home game of the season just one week prior against the San Diego Chargers. That game owns a secondary market average of $123 and a $29 get-in price. Of the four teams in the NFC South, only the Buccaneers will see a decline in average ticket price from a season ago on the secondary market. The Bucs, who have failed to post a winning record since 2010, are one of six teams this season that have experienced such a drop. Buccaneers tickets during the 2016 season are averaging $162, down 3% from 2015. Aided with a promising quarterback in Jameis Winston and wideout Mike Evans, the Bucs will be looking to make it out of the basement of the NFC South. While they may still be several more years removed from a playoff bid, fans can expect the team to continue its trajectory upwards in 2016. The Bucs will play their most expensive home game against the Chicago Bears on November 13. Tickets to that game now own an average resale price of $180 and the get-in price is $61. Interestingly enough, the cheapest game in Tampa Bay will be the home opener against the Rams on September 25, where tickets average $137 and the cheapest are listed from $48 each.